The Models CPS-HT are MicroXact’s high temperature probe systems for testing and characterization of devices at highest temperatures on the market either in vacuum or in controlled gas environment. 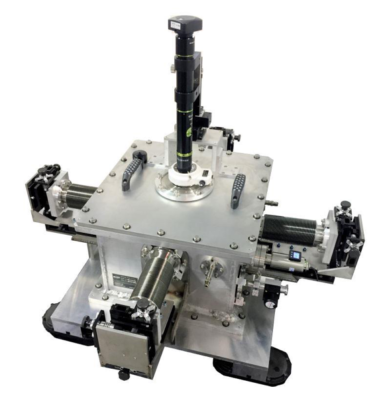 We offer manual wafer probers for testing up to 2” x 2” (50mm x 50mm) samples, and motorized or semi-automated systems for testing 100mm or larger wafers. These systems are capable of testing the samples up to 700oC in vacuum or 650oC at atmospheric pressure. Available with air or liquid nitrogen-cooled thermal chucks. Fast heating and cooling times.